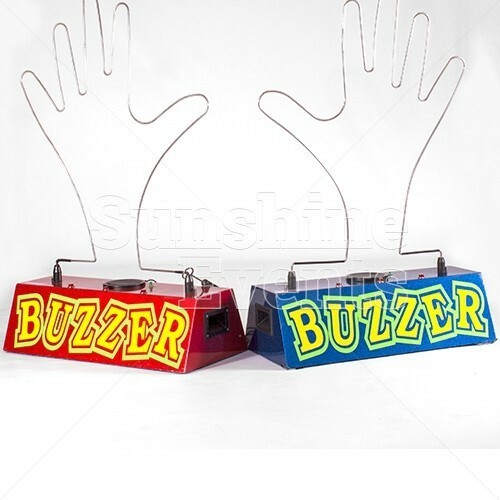 It's time to step right up and face one of the many challenges from our collection of Hand Buzz Wires. 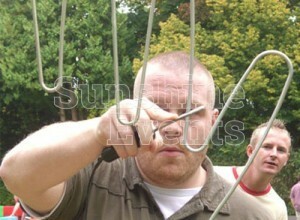 With a steady hand and eyes like a hawk, the competitive edge of this fantastic hire will be an instant hit. 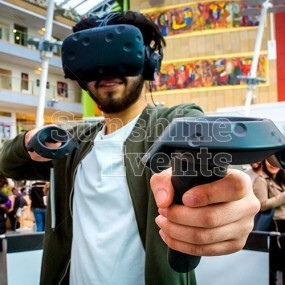 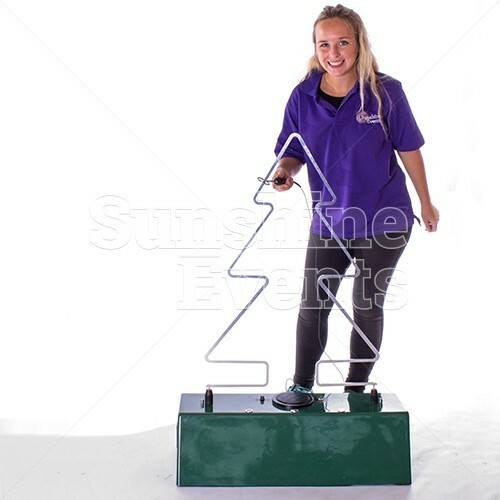 With a variety of shapes available to hire for the challenge including a hand, UK Map and Christmas Tree, the buzz wire units are an effective and crowd pleasing addition to events. 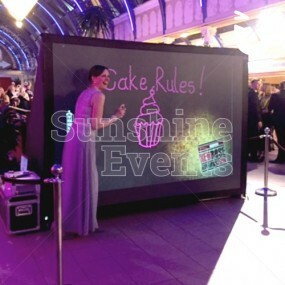 You can set the challenge to guests at your promotional events, drawing them in to discuss your brand. 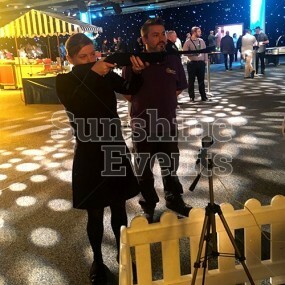 Alternatively, you could see the competitive side to your guests as the buzz wires make for a perfect indoor team building option. 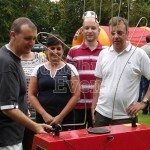 With three lives, you must attempt to move the wand from one side to the other without touching the wire. 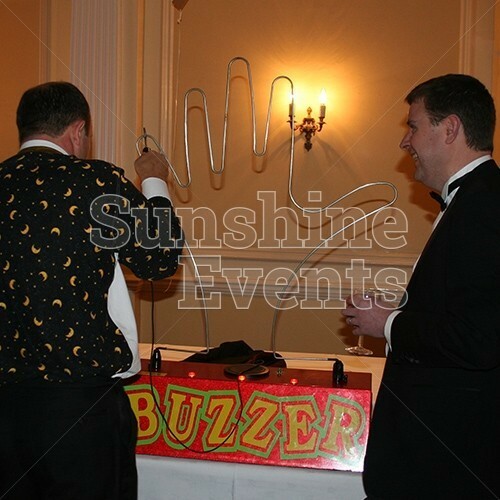 Should your hand shake or tremble and the wand touches the wire, then 'BUZZ!' 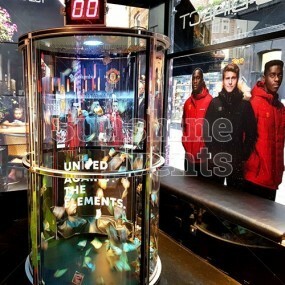 - one life has gone. 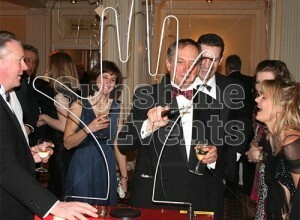 But don't think that if you take your time you'll make it across. 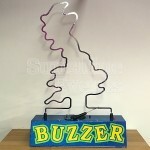 Once you hit start, a heartbeat timer begins to sound, counting down the 60 seconds you have to make it across. 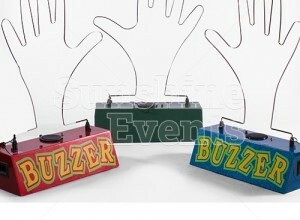 Should you conquer your nerves and make it to the end, everyone around will hear your victory as the fanfare sounds! 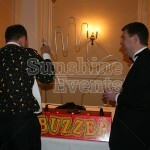 What events is the Buzz Wire Hire suitable for? 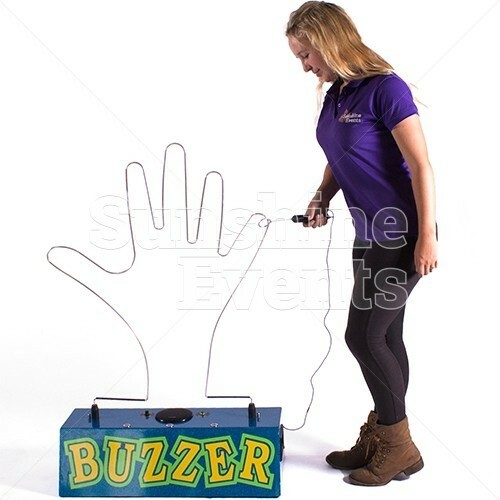 The Buzz Wire units are a simple set up but a very effective crowd pleaser and puller, working fantastically well for your upcoming product launch. 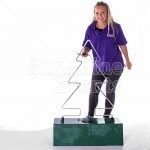 Can be branded with bespoke vinyl stickering to the base unit. 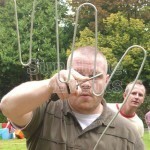 Have you considered a bespoke wire to add to the challenge? 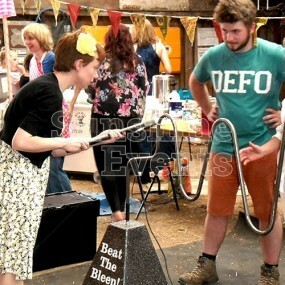 Small set up - can fit well within an exhibition stand. 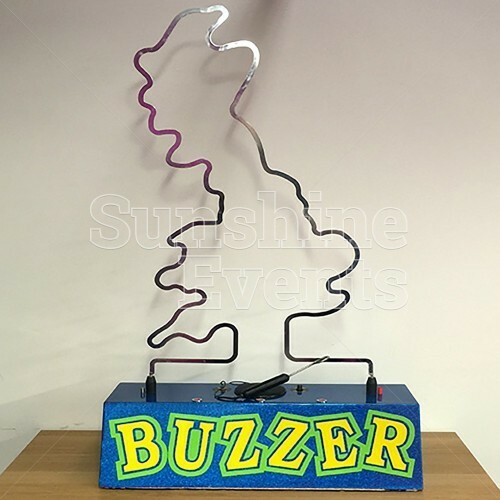 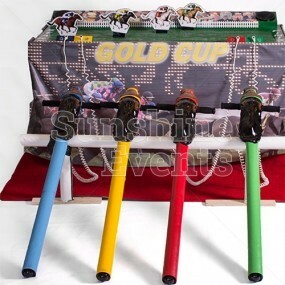 Suitable for all ages - you can have the Buzz Unit at floor height for children to compete or place on a table for adults to take the challenge. 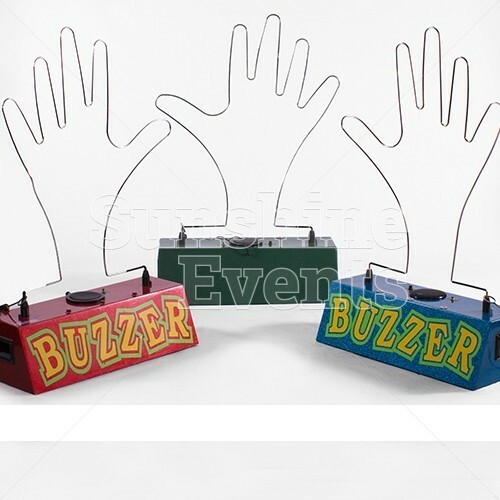 please note that you would need to place the Hand Buzz Wire game on a flat table top surface. 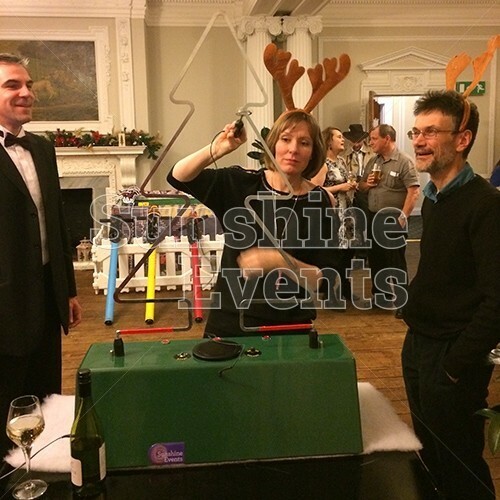 We do recommend a low table should children want to play. 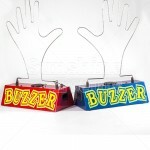 Bespoke branding - the base unit of the Buzz Wires is an ideal option for adding vinyl stickering of your brand or company logo. 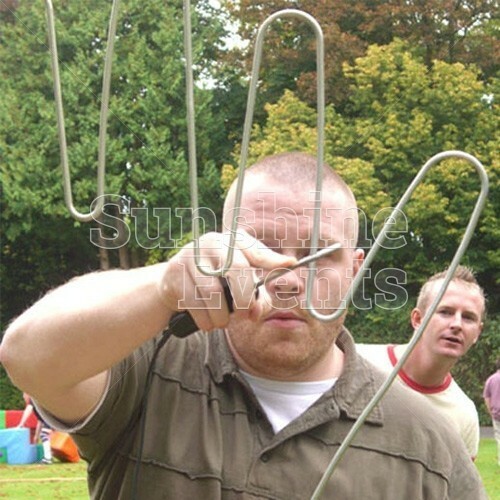 Bespoke wire - we're not saying that the challenge of the Hand or UK Map are easy but you could increase the challenge with your own Bespoke wire challenge. 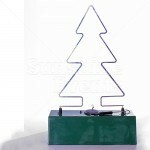 This could be shaped to your company logo / brand or maybe you just simply have a funky idea! 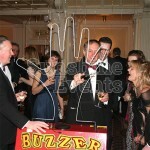 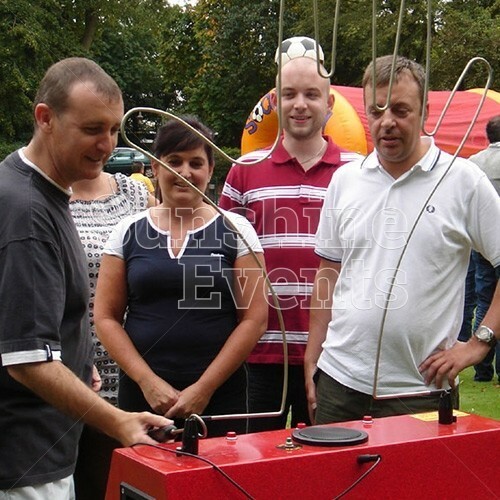 Hand Buzz Wire Hire has been added to your Event Quote.